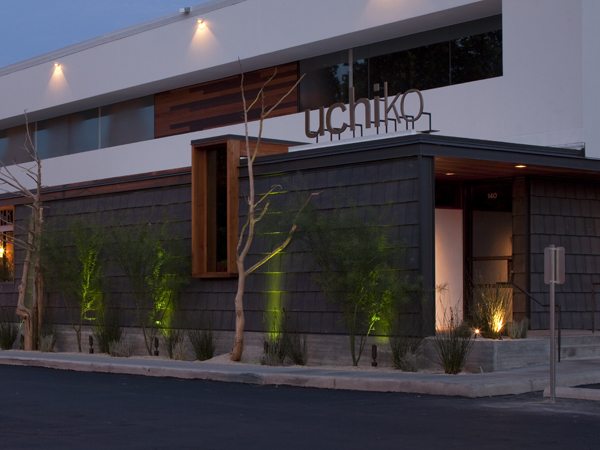 Uchiko is the sister restaurant to one of Austin’s most respected restaurants, Uchi, which is operated by renowned chef Tyson Cole and was part of the 4200 N. Lamar project. The design evokes the atmosphere of a simple Japanese farmhouse with an emphasis on natural materials and evidence of craftsmanship. The palette of materials includes solid bronze, hand stained brick, rough sawn walnut and wood siding that is burned using the traditional Japanese technique of shou–sugi–ban. A wall of vintage cabinets separates the bar from the dining space and steel framed windows enclose a private dining room at the rear. 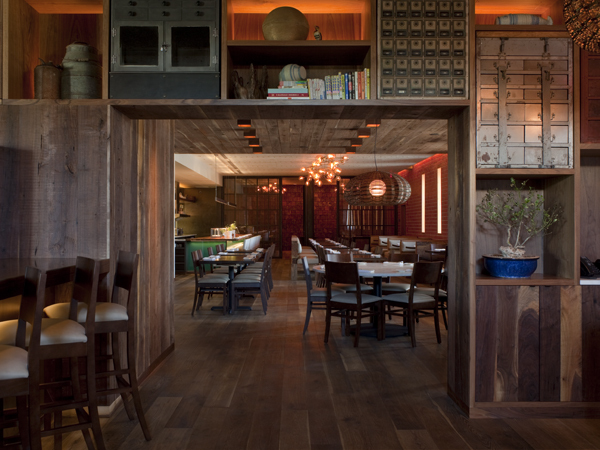 Lighting throughout the restaurant is primarily done with custom walnut light boxes and a branch–like fixture of glass globes that organically spreads across the ceiling. 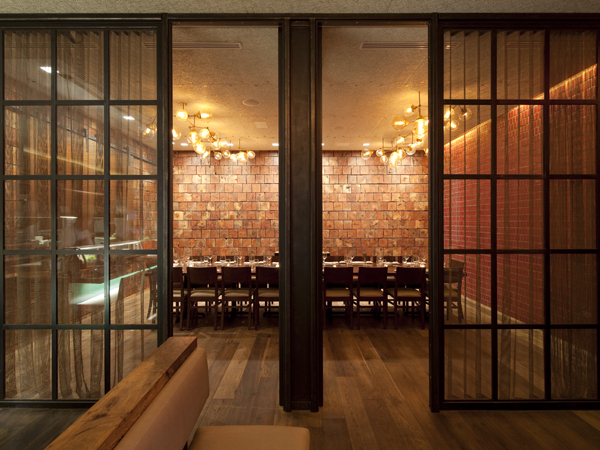 Custom brass embossed washers adorn acoustic areas of the ceiling, subtly forming stitch lines across the space.